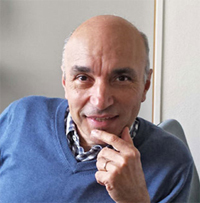 The Lelio Orci Price has been attributed to Jean-Claude Martinou for his work on the control of mitochondrial organisation and physiology. His research group has made fundamental discoveries on the molecular mechanisms controlling the shape of mitochondria, their ability to import and to process metabolites, and to adapt to various metabolic situations. Classé dans Bio.news | Enregistrer le permalien.